With Tebis Version 4.0, it’s now even easier to manufacture small parts such as trim steels, coining steels, inserts, and stripper plates. Using an automated process, you can combine the die surfaces and solid data of the individual parts-often otherwise separated-into an exact solid. This solid corresponds precisely with the finished part, so you can create programs without additional machining allowances such as those needed for intermittent ventilation or sheet metal thickness. Tebis calculates an overall surface from all wall thicknesses and machining allowances. It also creates contour surfaces and required resets automatically. Plus, you no longer need to take care of extended surfaces, chamfer contours, and fill surfaces for bores. Thanks to this standardized process, you save a significant amount of time, even as you reduce the risk of errors and gain a number of additional benefits. Tebis manufacturing templates store all the information needed to generate complete programs separately after the first and second setup. Allowances and wall thicknesses are built into the templates, so you no longer need to take them into account during machining and simulation. Even a medium-sized tool manufacturer must produce thousands of small parts annually-which means thousands of processes can improve when you unlock the potential of standardized manufacturing design. Whether you’re manufacturing cast parts, semi-finished products, new products, or reproductions, you’re sure to benefit from this new process solution. Tebis 4.0 also supports contract manufacturers’ requirements. We have greatly expanded our solution for reverse engineering to incorporate the specific requirements of the design and manufacturing processes. You can cut the time needed for reverse engineering in half, both for surfaces with manufacturing quality and surfaces with design quality. For the first time, you can transform a digitized vehicle model into a design surface model at a one-to-one scale in 50 hours- and you need just 25 hours for the same task with manufacturing quality. This performance boost is possible only with innovative technology. For instance, a new technology for surface approximation automatically adapts to segmentation, ensuring the smoothest possible surfaces and optimal transitions. Tebis 4.0 displays segmentation and shape deviation simultaneously, in real time, so you can directly evaluate and influence the results of surface generation. Through its multitude of automated features-such as built-in recognition of kinks in the wire frame (per your tolerance settings) and direct generation of sharp-edged surface transitions-Tebis 4.0 helps you accelerate the design of complex surfaces. You can re-engineer more flexibly because Tebis 4.0 lets you choose at any time whether you would rather reverse engineer based on the reference object or just design freely. In addition, the system automatically synchronizes all trimming edges and boundary curves with great precision as soon as surfaces are changed. A new function for curve optimization with integrated 3D modeling helps you generate a wire frame of class-A quality with G2 transitions and C3 continuity. In addition to these fundamental technologies, Tebis 4.0 provides 17 other new functions for generating and editing design elements. 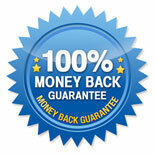 CAD design and reverse engineering thus benefit each other with unprecedented efficiency. Tebis Version 4.0 not only offers you a completely redesigned user interface, it is also “more international,” with eleven language options. New languages include Chinese, Japanese, and Russian. With this diversity, Tebis provides a broad basis to support you as a global player. Establish new contacts, facilitate collaboration in global processes, and tap into Tebis’ international potential. 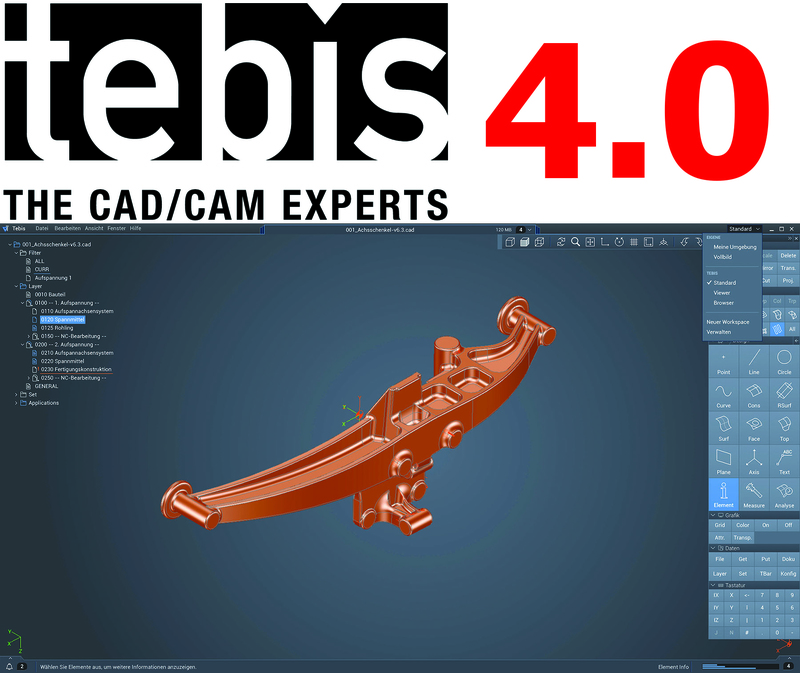 Tebis 4.0 removes language barriers and networks the CAD/CAM world.